This room is located in the basement of a hotel. It had originally been a night club and certainly a great place to have an escape room. 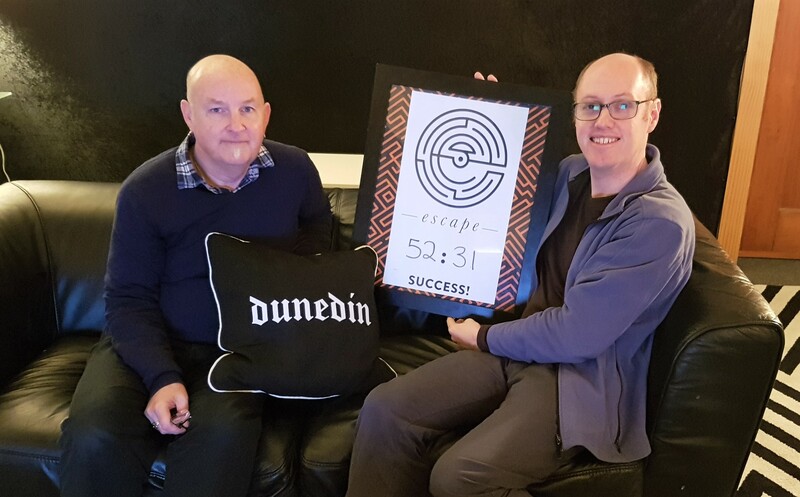 The cost was the most we have paid for an escape room so were wanting it to be good to justify the cost. And we weren’t disappointed. The room was called “The Traveller” and was right up our alley with flags, airline departure boards and the like. The room was pretty low tech and included some of the puzzles we had encountered before, allowing us to recognise them and complete them quickly. The last puzzle was definitely unique and very clever. Clues were given on a TV screen which was something we had not encountered before and found it a great way to receive clues without disrupting us or taking us out of the experience and world in which we were operating. Upon exiting we were informed that we had broken the record for a team of two which we were pretty chuffed about and makes us determined to try more and more rooms. The overall experience was very enjoyable and we certainly would like to return to play more of the rooms they have on offer.